Government’s “spectacular U-turn” on fracking regulations – DRILL OR DROP? The government was accused of a spectacular U-turn this afternoon on protection for the UK’s finest landscapes from the effects of fracking. A committee of MPs had expected to debate a ban on fracking from the surface of National Parks and Areas of Outstanding Natural Beauty. But the Energy Minister, Andrea Leadsom, told the committee the regulations dealt only with what happened below ground. “There has to be a balance between protection and stifling the nascent shale industry”. She said shale gas could create an energy bridge to a low carbon future, as well as creating jobs. But the Green MP, Caroline Lucas, said: “The government has performed a spectacular U-turn”. She said it would damage public trust. Labour’s Alan Whitehead said it “defied belief” that the government was trying to separate above and underground activities. The government had accepted there should be no fracking in protected areas, he said. The regulations were designed to provide legal definitions of protected area to support clauses in the Infrastructure Act. During the passage of the act, the government accepted Labour amendments to prevent a vote on a moratorium on fracking. And it announced it would ban fracking from National Parks, Areas of Outstanding Natural Beauty (AONBs), World Heritage Sites and Sites of Special Scientific Interest (SSSIs). When the regulations were published, they did not include SSSIs in the ban on fracking and they permitted drilling under National Parks and AONBs at a depth of more than 1,200m. Dr Whitehead said the application of the regulations to below-ground activities only was a “very serious diversion” of the intensions of the Infrastructure Act. “This was not what was set out at the passing of the act”. He said the regulations, which were in the form of a Statutory Instrument, had either been badly drafted by accident or had been deliberately written to “drive a coach and horses” through the law. The SNP’s Tommy Sheppard, who was elected in May, said he had watched the debates on the Infrastructure Bill, during which, he said, the government had headed off calls for a moratorium by saying areas would be protected from fracking. Changing this commitment later built distrust, he said. “It is not good enough to defend the regulations by saying a balance had to be struck between protection and the needs of the industry”. Callum McCaig, SNP, said “people were deluded” if they thought what happened at 1,200m had no impact on the surface. But the Conservative, Nick Herbert, whose constituency includes part of the South Downs National Park around Arundel, said Labour MPs had not shown there would be damage caused by drilling at depths greater than 1,200m. And Kevin Foster, Conservative, defended the minister on excluding SSSIs from the ban. He said only 15% were affected because the rest were either in National Parks or AONBs. “There are layer upon layer of protection” for SSSIs, he said. Another Conservative, Michael Fabricant, threatened to vote against the government. “I will want assurance that there are regulations laid that will control where the drillheads are placed”, he said. In the end, all the Conservative members of the committee voted for the regulations and the government won by 10 to 8. The regulations now go to the House of Commons. There will be no debate but if enough MPs shout “NO” there will be a vote. The regulations do not apply to the conventional oil and gas industry. Thank you for this and all your other excellent reports Ruth, Will the special moment, when MPs can shout NO, be indicated clearly in advance on the Parliamentary programme? Would it be safe to say that the “shale-gas as a bridging fuel to a low-carbon future” rhetoric is now well and truly redundant – now that the government seems to be hell-bent on destroying the renewable energy industry? 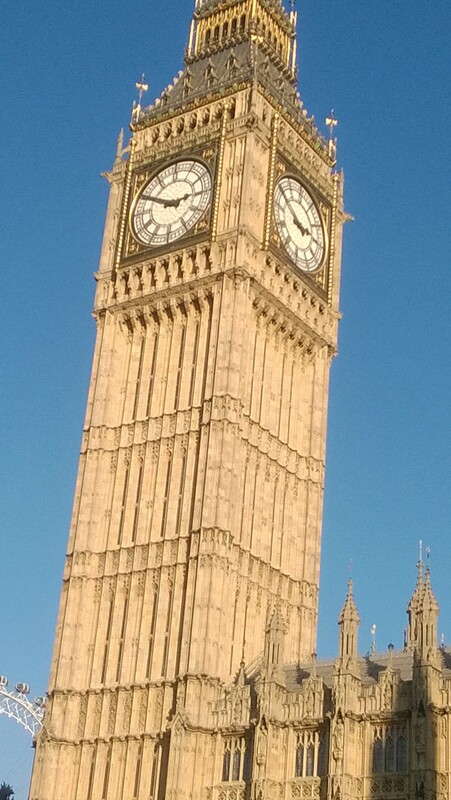 I attended the westminster committee debating protected areas for fracking. “We are the Greenest Government ever; tax credits; NHS top-down re-organisation…” said an opposition MP listing the government’s u-turns, “there is grounds for us to be cautious'”(over this legislation) which also represents a u-turn. It was extremely strange that Andrea Leadsom saw fit to accuse opposition MP’s that they had had since July to make their concerns about the Infrastructure Act protected areas legislation known, when she herself gave no clarity on what the situation would be above ground in National Parks, Areas of Outstanding Natural Beauty or Groundwater Protection Zones. She said they were treating the above ground areas separately and would come back with details. The legislation ‘protects’ from just below the surface until 2400m depth. As Alan Whitehead said “the secretary of state could quite lawfully give permission for wells to be on the surface, should they go below 1200m” . As the opposition commented, there is only a difference of 200m between protected and non-protected areas. What difference does that really make? Despite saying they would not frack in protected areas this legislation clearly allows them to do so. Lets hope MP’s shout ‘No’ when it comes back to the Commons and then vote ‘No’. beneath a relevant surface area. 3.—(1) This regulation defines “other protected areas” for the purposes of section 4A of the Act. (d) a World Heritage site. After Dennis Skinner’s excellent speeches on defending his constituents, being against the technology and concerns over gas leaks, I was very amused to hear Andrea Leadsom condescend to inform him that there may be confusion as these are not like coal mines and nobody actually goes down them. Phew, anti-frackers everywhere can breath a sigh of relief! I would like to add that last year the chairwoman of the National Trust was gung ho for fracking and told everyone she was handing over all NT properties to be fracked. Meanwhile NT leached members outraged at her crass stupidity with many of them threatening to blacklist sites that got fracked. I think most NT members will be avoiding fracked Trust sites in future…….but I do wonder that NT isn’t especially identified on the list above? The fact that the EA in initial consultation stated fracking would cause ”no damage” was risible as they too offered no evidence to support the claim as I noted in my response to that section….I did ask them to prove the claim but am still waiting for a reply! I can’t believe we are not suing the government for lies and spin, how much more do we have to stomach? They have no mandate for fracking in areas they promised in January, would not be fracked. Why bother with manifestos when every time these Walter Mitties get into power and abuse it?